In the surface feature, measured data values are interpolated using the inverse-distance interpolation method to points evenly distributed along the length of the cross-section. They are then connected and plotted as a surface. This is most often used with water level values to plot a water table or an aquifer's potentiometric surface. 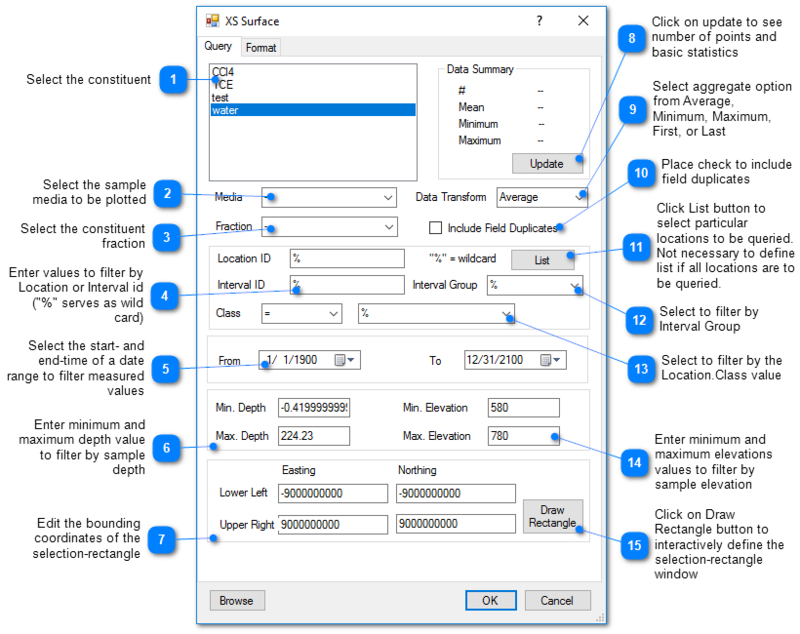 Click Plot> Data from the main menu and select Surface. The Cross-Section Surface dialog box opens. 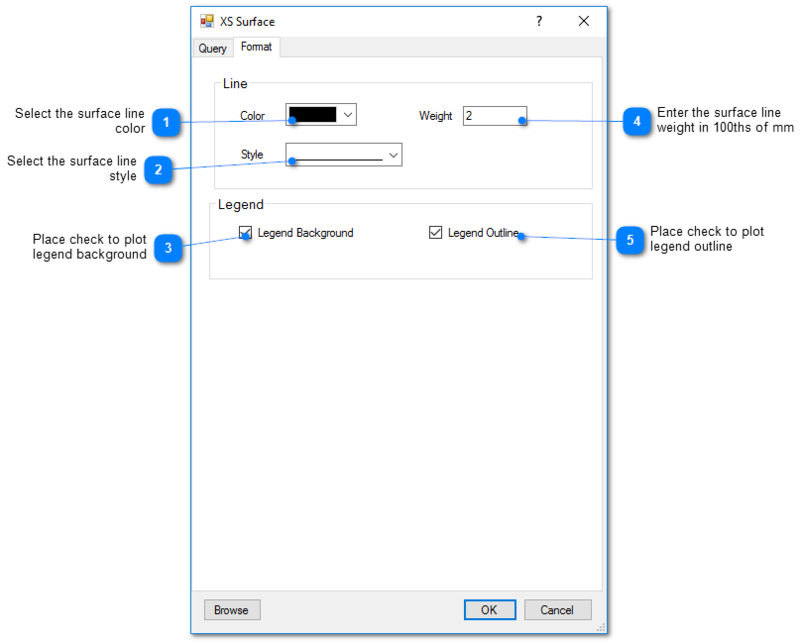 Modify the properties of the surface on the Query tab and Format tab as desired. Click the OK button to save changes.